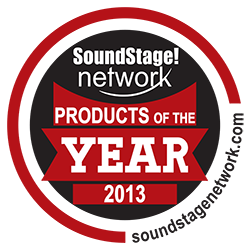 We are proud to announce that the Anthem Statement M1 monaural amplifier won a 2013 Product of the Year Award from SoundStage! Network in the category of Pioneering Design Achievement. To win an award from Soundstage! is an honor but especially so given the category. "Anthem Statement M1 mono amplifier: Our Pioneering Design Achievement was created to recognize those products that break new ground, technically and/or sonically. 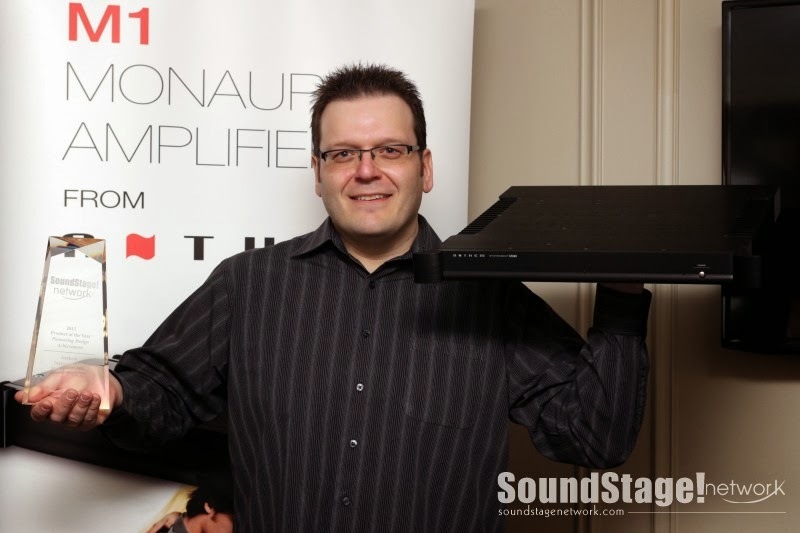 Anthem’s Statement M1 mono amplifier, which Jeff Fritz reviewed for SoundStage! Ultra last January, is a perfect fit for this award. The M1 sells for $3500, or $7000/pair. Anthem took more than five years to design and perfect the M1. The result of their efforts is a class-D amplifier capable of extraordinarily high power, claimed to deliver more than 1000W into 8 ohms or 2000W into 4 ohms, and to maintain a flat frequency response regardless of load -- something that’s not always the case with class-D amps. (With many class-D designs, the high-frequency response in particular varies with the speaker load.) The M1 is also said to be stable into any impedance, and to be unclippable -- if it approaches clipping, it simply shuts down. Befitting the M1’s unique technical design is an appearance just as distinctive -- wide and deep (it’s about 19” square), but shallow (just over 2” high), it comes finished in basic black, which makes it sort of Stealth-like." Click here! for the full list of 2013 Product of the Year winners. Click here! for the winner photos taken at CES 2014. Click here! for more info on the Anthem Statement M1.